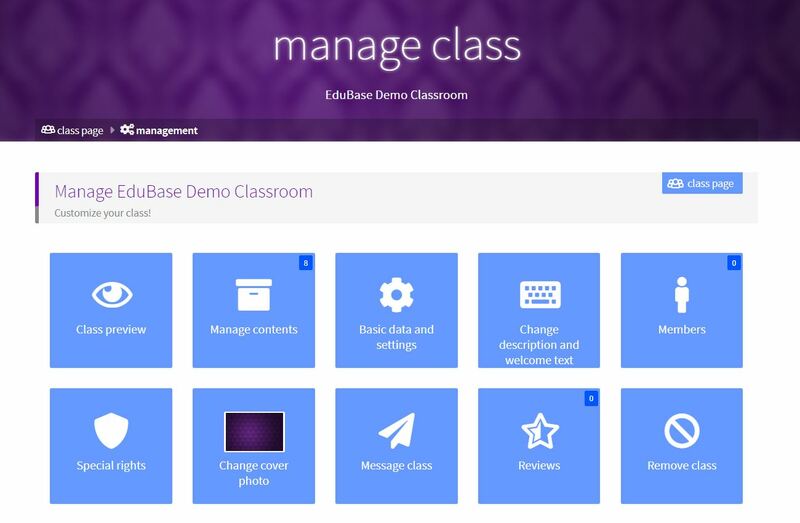 EduBase makes teachers' work significantly faster and smarter. Save long hours in minutes. See how! Your class online. Fast. Easily. 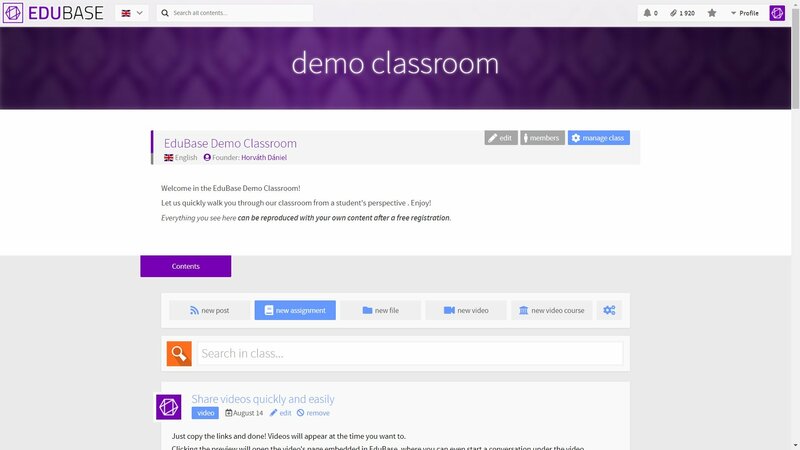 Create online classrooms in minutes! 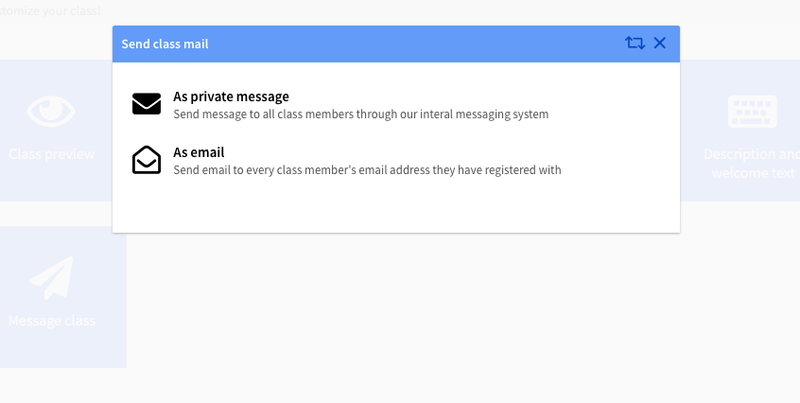 Sign up or login and create you first classroom right away, for free! Teaching and testing in one place. 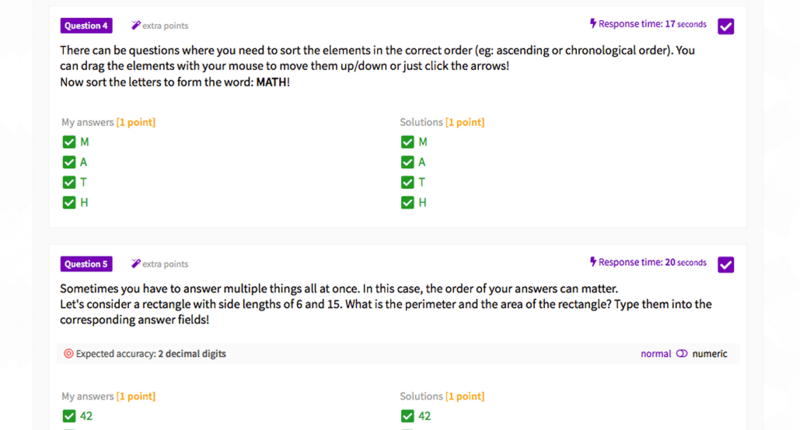 Online tests, homeworks, exams, file sharing, news, video courses and much more! 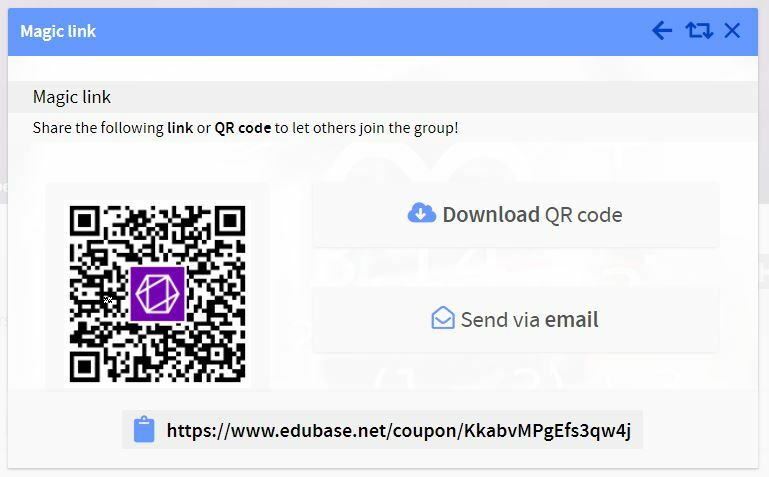 Students have numerous ways to connect to your classroom, with a unique password, an invitation and even with QR code. Get to know your students better! Keep track of students' progress, results and look at statistics that would be unimaginable on paper-based testing! 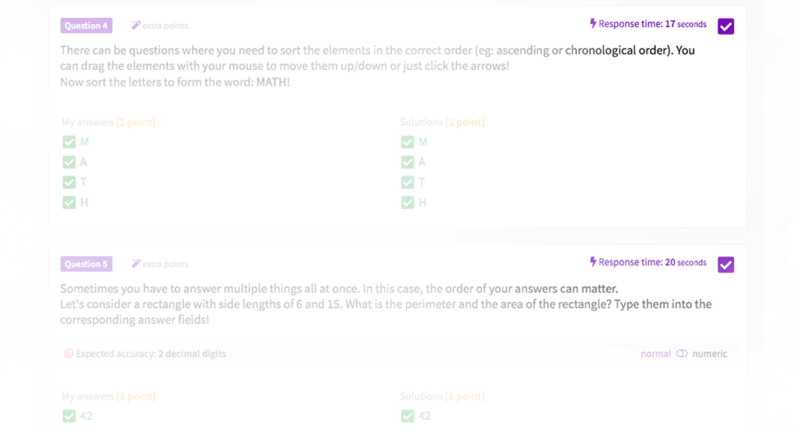 In your digital classroom you can use our unique testing and exam system. Scroll down to learn more! Intelligent testing system. Instant correction. Secure. 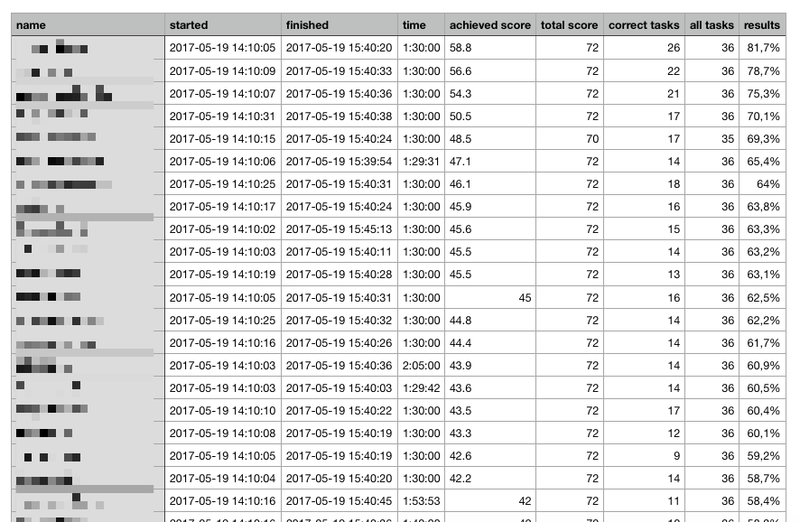 Instant test results, scoring and grading. No more tedious work. Single choice, multiple choice, true or false, numerical, textual and even questions with complex mathematical expressions. 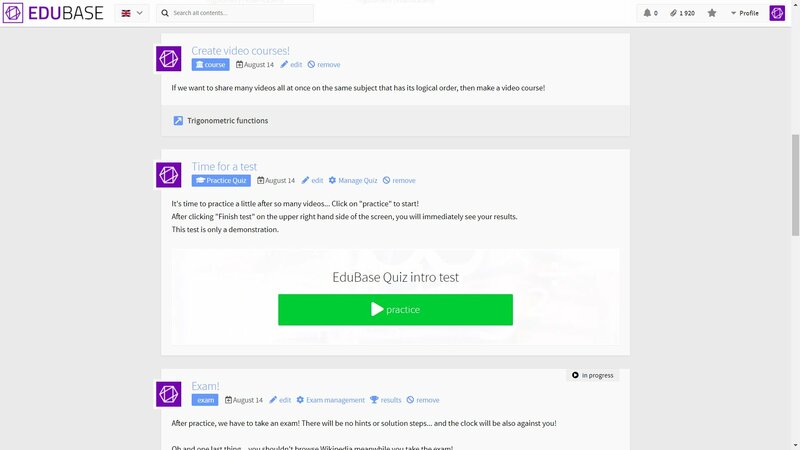 EduBase has cheating detection and in case of computer malfunction, test can be continued from a different machine. 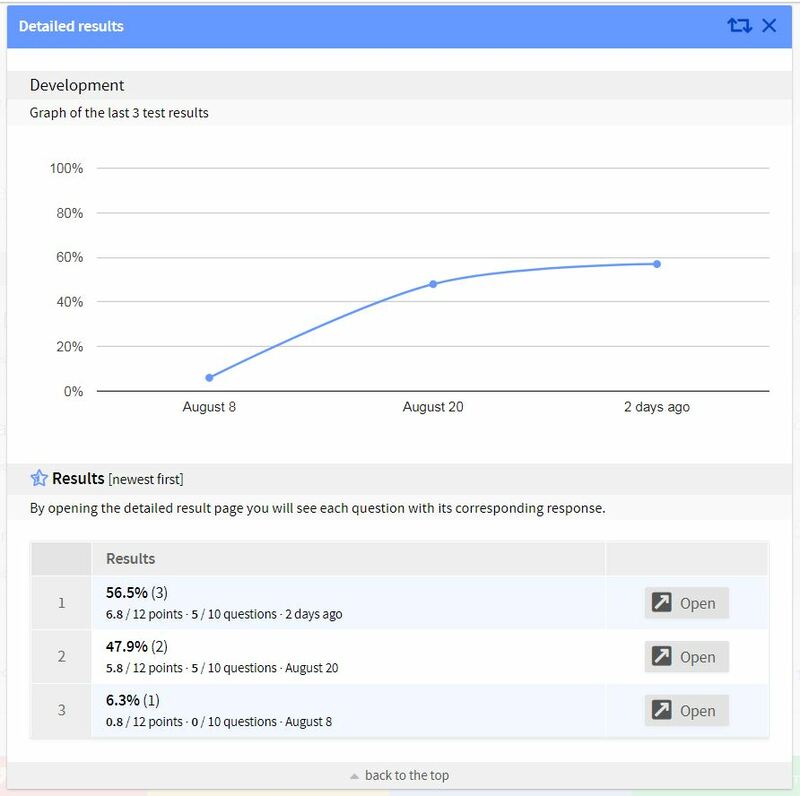 We can help to detect problematic topics and questions with our automatically generated reports. 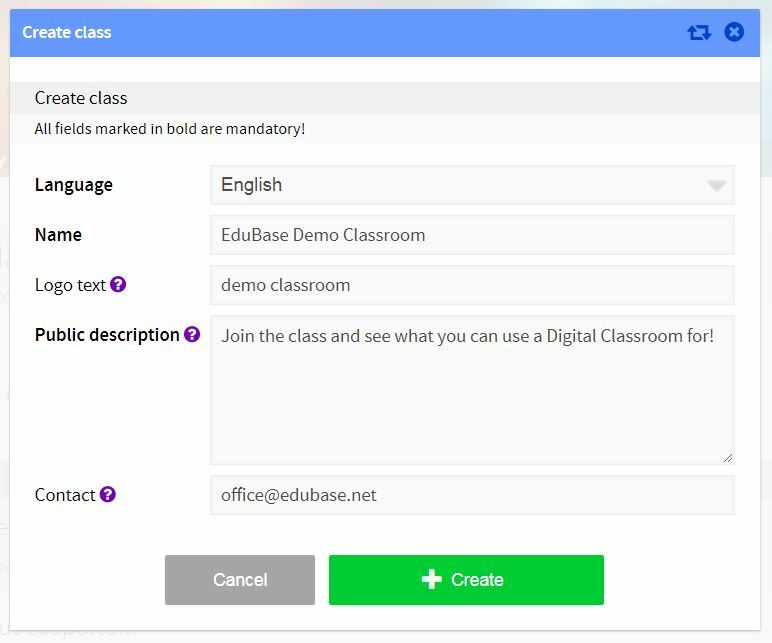 Let us show how to use EduBase! 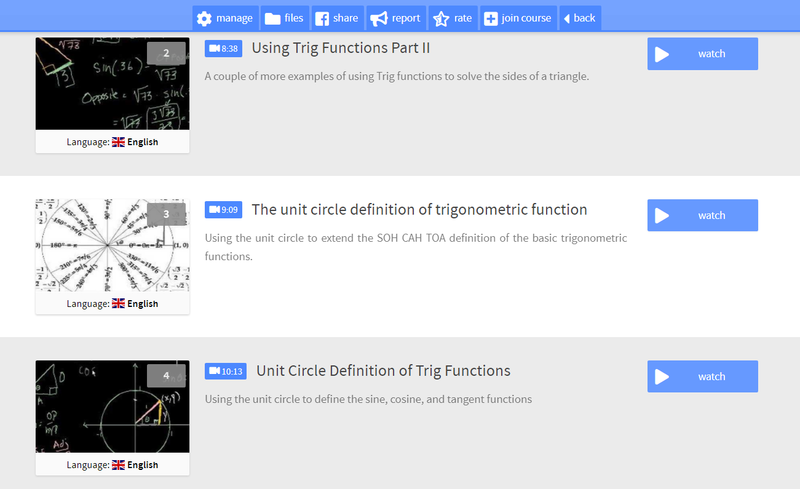 Share materials online directly to your class! 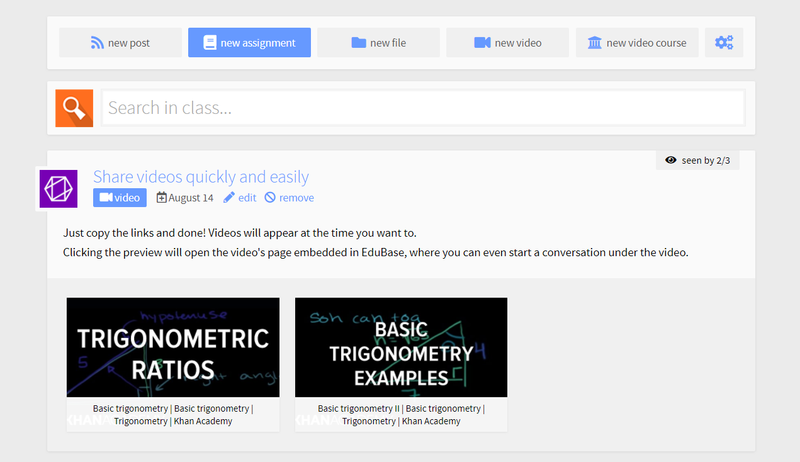 Create video courses just for your students! 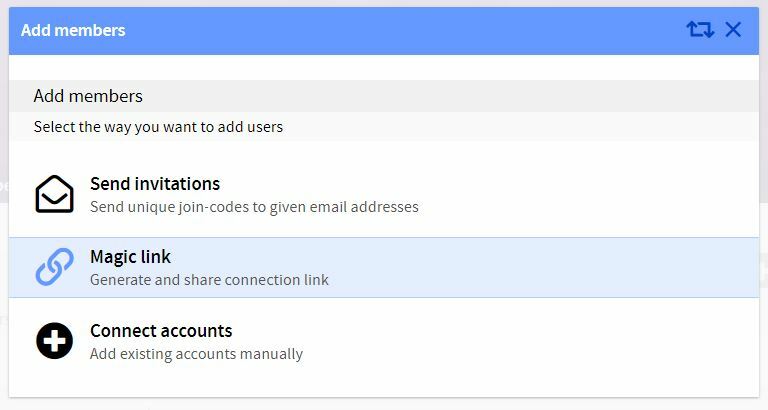 E-mailing everyone all at once was never this easy. You have multiple ways to control who can join the class. 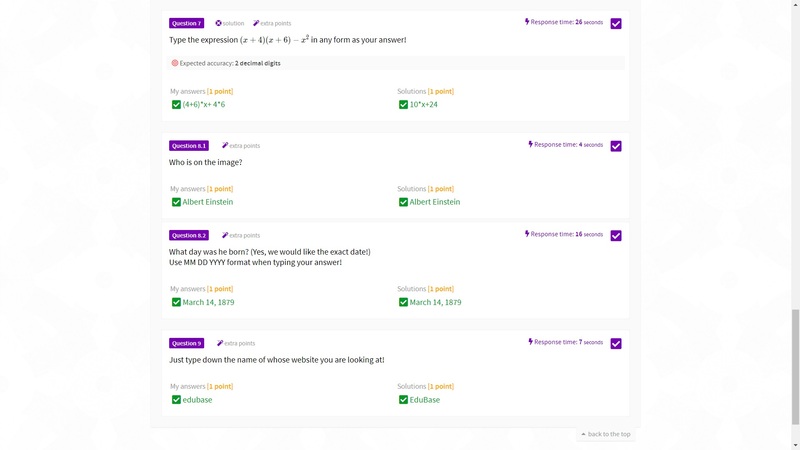 Share your online tests with students, which they can pracitce with at any time. 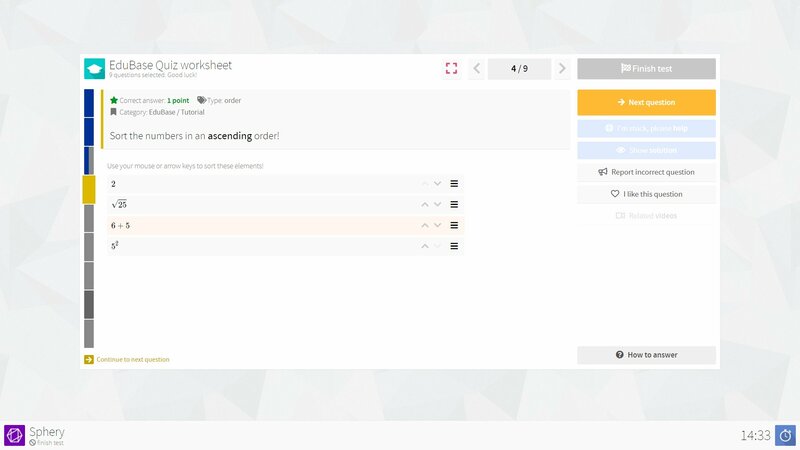 Keep track of students' progress! Hints and solution steps are perfect for independent practicing. Endless questions with the help of parameterization. 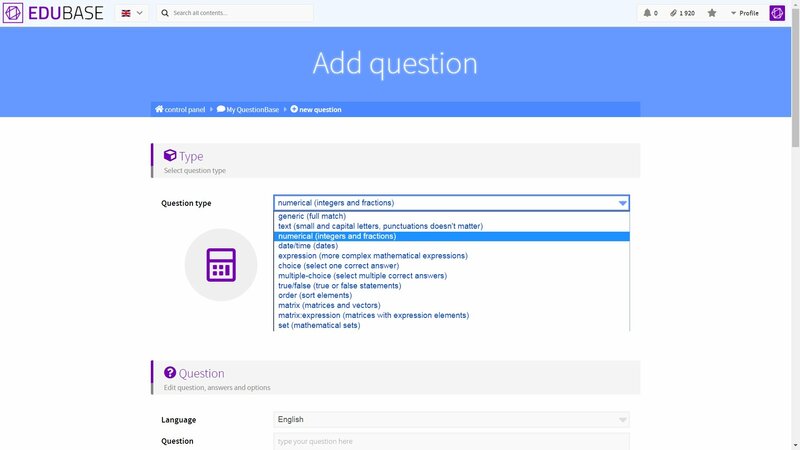 We're flexible with answers, so that students can concentrate on the questions. Follow live results during the exam. No more Google or Wikipedia during the exam! 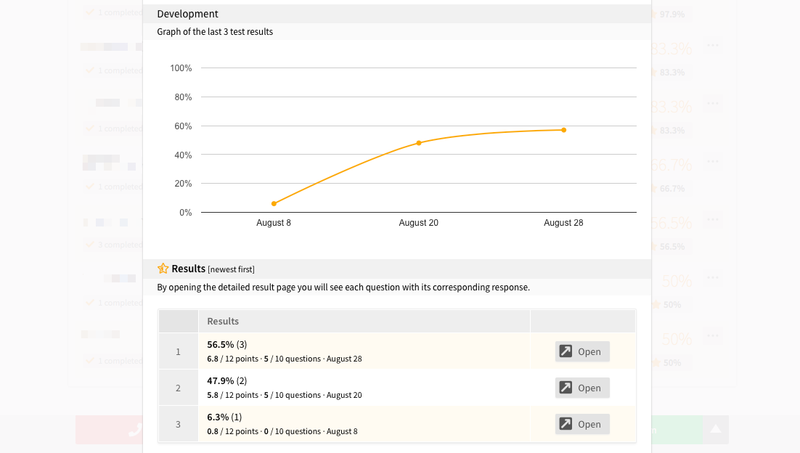 See exam results in more detail than ever. Time spent on each question can help to understand students' confidence. 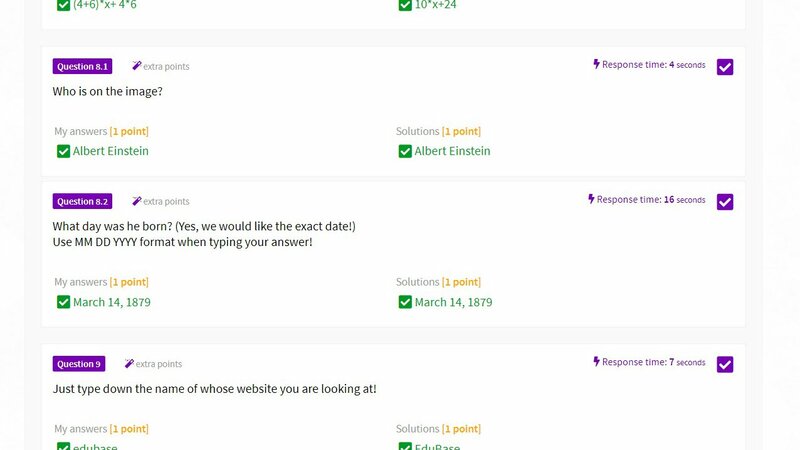 Too quick responses may suggest guessing... No more time consuming in-class revision! Students can immediately flag questions they have a problem with. Our auto-generated report will immediately give you the big picture of your class. All exam results can be downloaded in Excel. Create my first class now!